Posted by carol in Book List, Top Ten. All year-long I read and enjoy! That’s the easy part. The hard part is picking only a handful of books for my year’s ‘best’ list. Here’s hoping I’ve read something this year that you might find a worthwhile read. This is book five in a series that just gets better with each book. Smart crime solving, passionate romance, and a wonderfully descriptive historical backdrop are just a few reasons to pick up these mystery novels starring Lady Julia Grey. When the Sudden Departure occurs, millions instantly disappear, and the remaining population questions the absence and the reasons they were left behind. This unique post-apocalyptic novel is a funny, sad, contemplative and unforgettable novel. This smart and eloquently written mystery, set in post WWI, takes a serious look at the ramifications of war and makes for atmospheric and memorable reading. Zed, an agent from the “perfect future,” has been sent back in time to 2010 to ensure that an eminent disaster that leads to his peaceful world, occurs. This genre bender has sci-fi elements, is part action-packed political/spy thriller and is part a work of dystopian fiction–a perfect blend for suspenseful reading. Like many, I am late to this party (Thanks HBO). But I’m now finishing book five in a mind-blowing epic fantasy series that starts with this first. Kings without thrones, back-stabbing queens, bloody battles…need I say more? This is the remarkable story of Jack, a five-year-old boy who has lived his whole life in a single room. Once you peek into Jack’s world, you’ll realise that this story is one of unbreakable love. A hard-boiled riveting mystery filled with nonstop suspense, this debut left me breathless and eagerly awaiting a second installment. Set in a future where humans are chromed for their crimes instead of incarcerated, this unputdownable book is a modern-day The Scarlet Letter meets 1984. The sassy and smart character of Georgia, a little bit of steamy romance, and hidden secrets are a few reasons to pick up this funny and poignant portrait of Southern living. When Hadley Richardson meets Ernest Hemingway, he is just a war vet with a way with words. They head to Paris in the 20s, where Hemingway, the writer and womanizer, is born. Frankie Pratt doesn’t marry Hemingway, but she does go to Paris in the twenties! Filled with vintage flare, this scrapbook-as-novel tells its story with words (and pictures!) & would make a great gift for your best girlfriend. Now, don’t say I didn’t give you anything for Christmas! 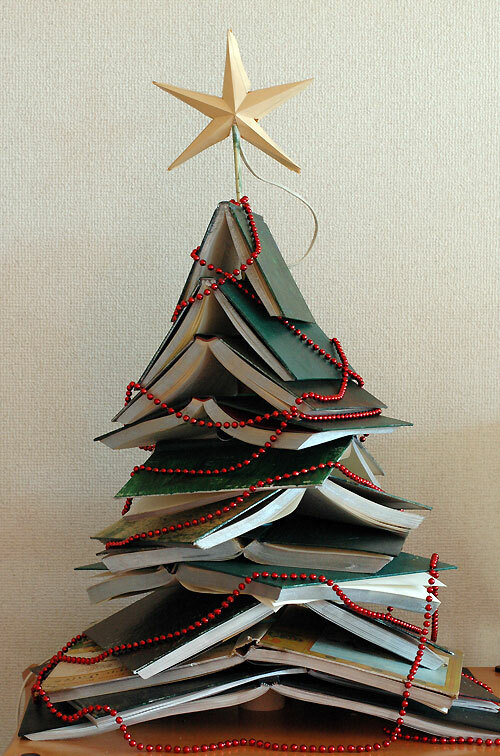 Enjoy and Have a Happy New Year (of Reading)!